The next band to feature in our new Track Of The Day feature is Widnes electronic four-piece Masters Of The Radio and the new song Radio Forever. The band have taken some time out recently and come back with a new line-up. Radio Forever is the lead-track from a forthcoming as-yet-untitled EP and it shows their roots and influences firmly in the electro-pop giants of the 1980s, but brought right up to date. The band now comprise of Paul Ventux (vocals), Mr Darklight (keyboards/synths), Taylor Manwo (bass) and Murphy the Destroyer (drums). 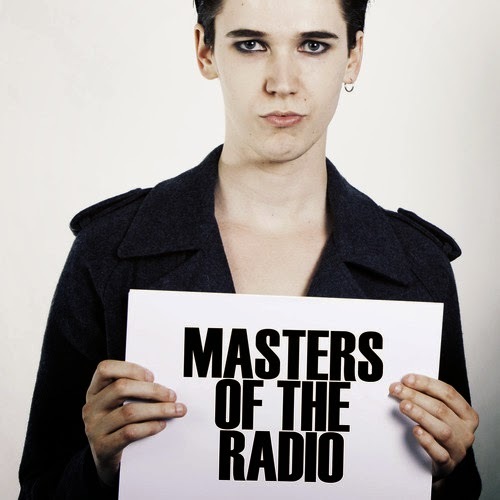 Masters Of The Radio are on Twitter, Facebook and Soundcloud.